Loafer Creek Equestrian Campground stands out as one of the finest horse camps in the region. 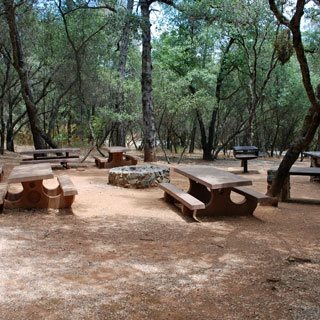 The campground is located in Lake Oroville State Recreation Area on the southeast side of the lake. 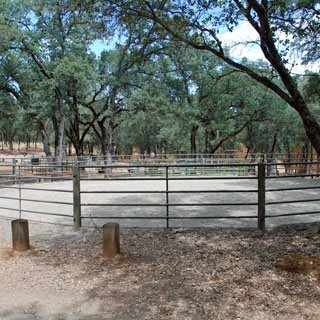 The Equestrian Camp is a short drive beyond the main Loafer Creek Campground. Campers find a fairly level and spacious area shaded by oaks. may reserve more than one site. Lake Oroville is very popular with anglers seeking bass, with boaters and water skiers, hikers, horseback riders, and anyone looking for outdoor recreation. 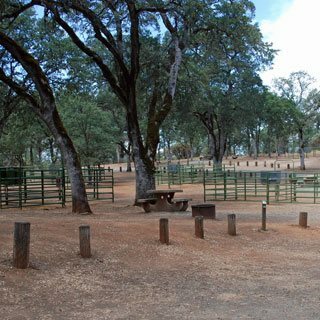 Campers at Loafer Creek Equestrian Campground have great facilities from which to begin their explorations of the area. Ride the 17.5-mile Loafer Creek Loop Trail that begins and ends at the Loafer Creek Equestrian Campground. Head out on a trail ride on the Dan Beebe Trail. Tour the Lake Oroville Visitor Center with museum and exhibits. Enjoy the refreshing waters of Lake Oroville for water skiing, jet skiing, sailing, cruising, wake boarding, and swimming. Around the lake find an excellent horse camp and boat-in camps. Unique floating campsites may also be reserved. Around the lake find marinas with boat rentals and launch ramps. Spend a week on a houseboat cruising all the inlets and coves. Hike the trails around the lake, including the popular Feather Falls trail. Bicycle on the many roads and paths open to cycling. In Oroville visit the Feather River Nature Center, the Pioneer History Museum, and the Feather River Fish Hatchery. Please do not tie horses to trees. Clean up after your animals. Horses are limited to 15-minute per horse in the warm-up area. Horses may not be left unattended in the warm-up area. Generators may only be operated between 10 AM and 8 PM. Fires must be confined to provided fire rings. Help prevent the spread of invasive insects by obtaining firewood locally. Dogs must be on leash and always attended. At night they must be in a tent or vehicle.